Elizabeth Reeve - Reeve Shima, P.C. Ms. Reeve has been representing Washington and Oregon employers for more than 25 years. Ms. Reeve initially focused on representing self-insured employers in workers’ compensation law and now defends employers in all types of employment actions, including discrimination, sexual harassment, and wage violations. Ms. Reeve ligitates cases before the Board of Industrial Insurance Appeals, as well as the Superior and Appellate Courts in State and Federal jurisdictions. She has a great deal of courtroom and practical experience. She has helped numerous employers navigate WISHA, DOSH, and OSHA safety citations, inspections and violations. She also represents employers in matters involving risk classifications, premiums, and assessments. Ms. Reeve has served as the legal chair of the Legislative Committee for Workers’ Compensation for the Association of Washington Business and Washington Self-Insurers’ Association. She was selected as a “Super Lawyer” by the readers of Washington Law and Politics several times and was awarded the Heavy Hitters’ Award by the Association of Washington Business. She is a member of the Society for Human Resources Management and the Washington Self-Insurers’ Association. She often provides training to employers, claims managers, HR personnel, and other attorneys on a variety of subjects, including all aspects of workers’ compensation, disability discrimination, ADA matters, FMLA, settlements, accident prevention, and safety. 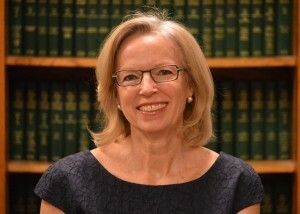 Ms. Reeve also is a member of the Washington State Bar Association and the Oregon State Bar. She is AV-rated by Martindale-Hubbell, which is the highest rating a lawyer can achieve. Northwestern School of Law at Lewis and Clark College, J.D.